VATICAN CITY -- Pope Francis issued a Christmas Day prayer that recent U.N.-backed peace processes for Syria and Libya will quickly end the suffering of their people, denouncing the "monstrous evil" and atrocities they have endured and praising countries that have taken in refugees. 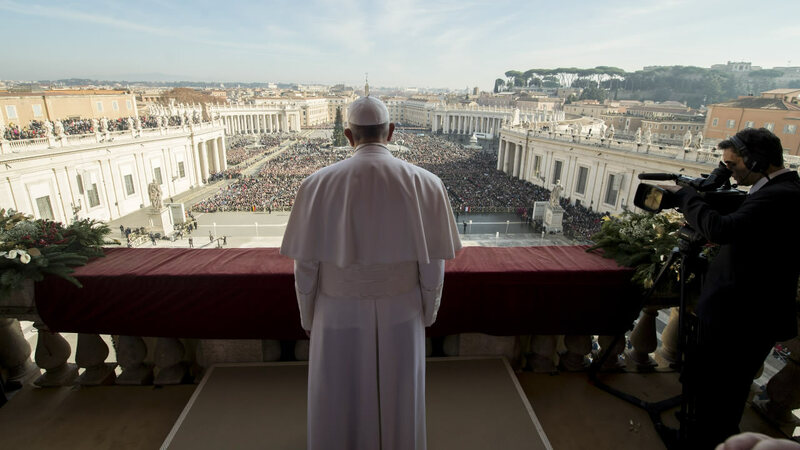 Speaking from the central balcony of St. Peter's Basilica, Francis issued a plenary indulgence for all Catholics in hopes of spreading the church's message of mercy in a world torn by war, poverty and extremist attacks. The sun-soaked St. Peter's Square was under heavy security, as it has been since the Nov. 13 Paris attacks by Islamic extremists that left 130 dead. In an indirect reference to the Islamic State group, he urged the international community to direct its attention to Syria, Iraq, Libya, Yemen and sub-Saharan Africa, where atrocities "even now reap numerous victims, cause immense suffering and do not even spare the historical and cultural patrimony of entire peoples." Francis has made the church's message of mercy the focus of his pontificate, and dedicated an entire jubilee year to stressing it. 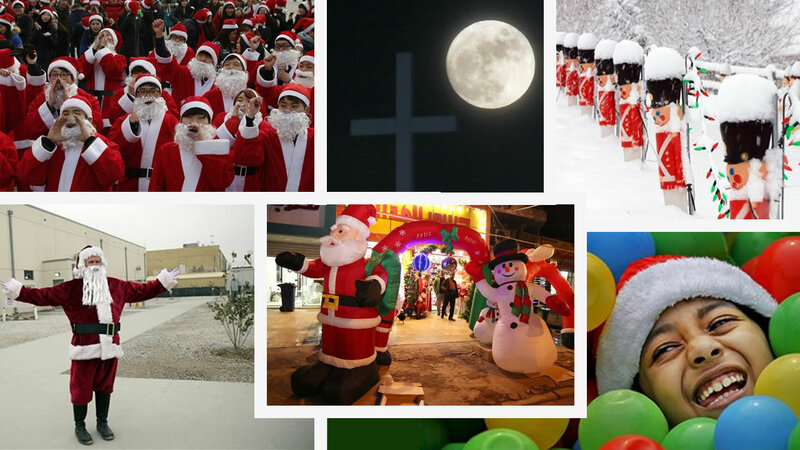 Holy Years are generally celebrated every 25-50 years, and over the centuries they have been used to encourage the faithful to make pilgrimages to Rome to obtain an indulgence. Libya has been in a state of lawlessness since dictator Moammar Gadhafi was overthrown in 2011. Syria has seen a five-year war that has killed over 250,000 people and forced millions to flee. The surge of refugees flowing out of Syria to Europe has created a migration crisis for the entire continent. The U.N. Security Council last week threw its support behind a peace process for Syria, including a cease-fire and talks between the Damascus government and the opposition. The council has also recently endorsed the U.N.-brokered deal to form a unity government that Libya's rival factions have signed. "We pray to the Lord that the agreement reached in the United Nations may succeed in halting as quickly as possible the clash of arms in Syria and in remedying the extremely grave humanitarian situation of its suffering people," Francis said. "It is likewise urgent that the agreement on Libya be supported by all, so as to overcome the grave divisions and violence afflicting the country." Francis praised both individuals and countries that have taken in refugees fleeing "inhuman conditions," saying their generosity had helped the newcomers "build a dignified future for themselves and for their dear ones, and to be integrated in the societies which receive them." Francis' Christmas celebrations, which began Thursday night with a late-night Mass in St. Peter's Basilica, continue with a noon blessing on Saturday and a Mass on Sunday dedicated to families as part of Francis' Holy Year celebrations.